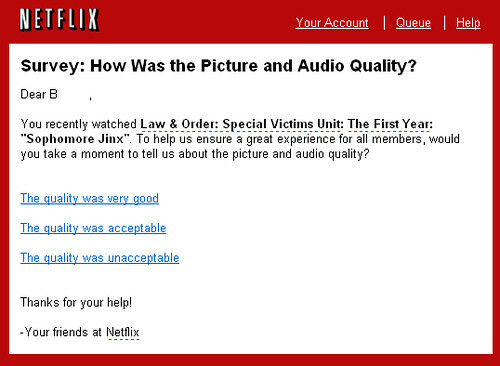 After viewing a Netflix Instant Streaming movie on Netflix's watch instantly service, I received this e-mail asking about the picture and audio quality of the streaming for that title. This is the first time I've received such a "poll question" related to streaming. Have you received one like this? How do you feel the streaming quality is for Netflix Watch Now?